Former Coliseum general manager Bart Rogers with his attorney, Stephanie Wong, during a 2017 court appearance. There have been many court filings in the six months since five former managers at the city-owned arena were indicted. There is also a civil suit running in parallel, in which former top arena manager John Butler is suing the city over commission money. In a filing Friday, the attorney for former Coliseum general manager Bart Rogers says her client was subpoenaed March 16 to testify and produce documents for a grand jury. 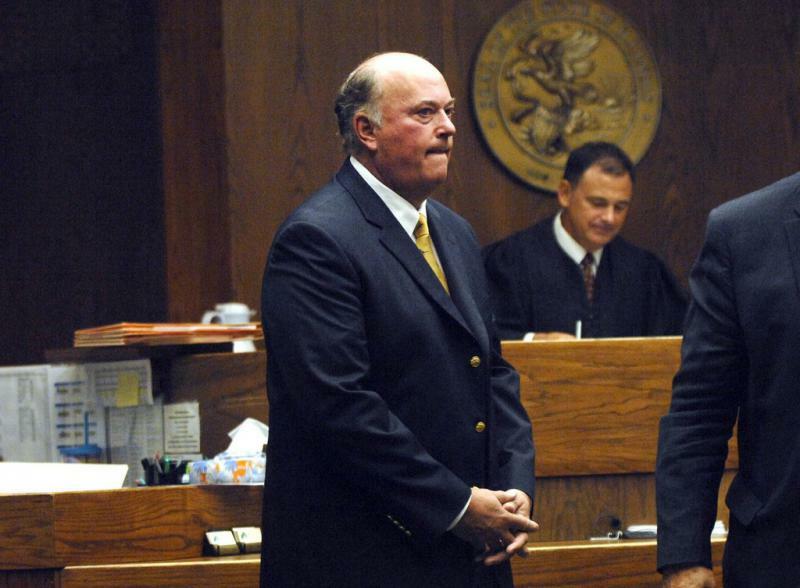 Rogers, one of the five co-defendants, was indicted on 13 counts last September. 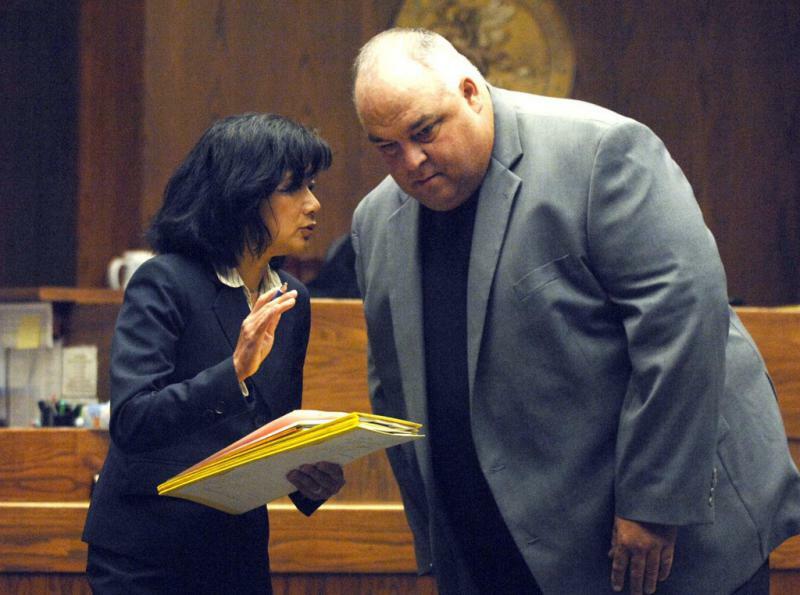 In the filing, Rogers’ attorney, Stephanie Wong, asks a judge to kill the subpoena. Meanwhile, prosecutors have also subpoenaed records and communications between Rogers and staff at a Peoria-based orthopedic center. It’s unclear from the court filings what connection it has to the Coliseum; several other businesses that sponsored or advertised at the arena have been named in court documents. Rogers is due back in court April 23. Also charged in the case are former arena managers Jay Laesch, Paul Grazar, and Kelly Klein. All five defendants have pleaded not guilty. Meanwhile, former Bloomington City Manager David Hales recently provided a signed affidavit to help the city fight a lawsuit filed by Butler. Hales left Bloomington in November to become city manager in Joliet. Butler claims the city owes his company, Central Illinois Arena Management (CIAM), for unpaid commissions related to sponsorships (advertising) and suite sales. CIAM managed the Coliseum for its first decade of existence, through March 2016. In its lawsuit, CIAM claims it signed sponsorship and suite deals with seven companies from 2011 to 2015, and those agreements remained in effect through March 31, 2016. That means the city still owes CIAM all the commission money earned from those deals in the months since, even those CIAM doesn’t run the arena anymore, the lawsuit claims. To bolster that argument, city attorney Gregory Moredock submitted an affidavit from Hales, signed March 12. Hales says that Butler would provide periodic financial updates on the arena but did not disclose detailed terms of CIAM’s agreements. “I did not give John Butler authority to enter into premium seating or sponsorship agreements that lasted beyond the term of the management agreement,” Hales said. The next hearing in the case is July 13. 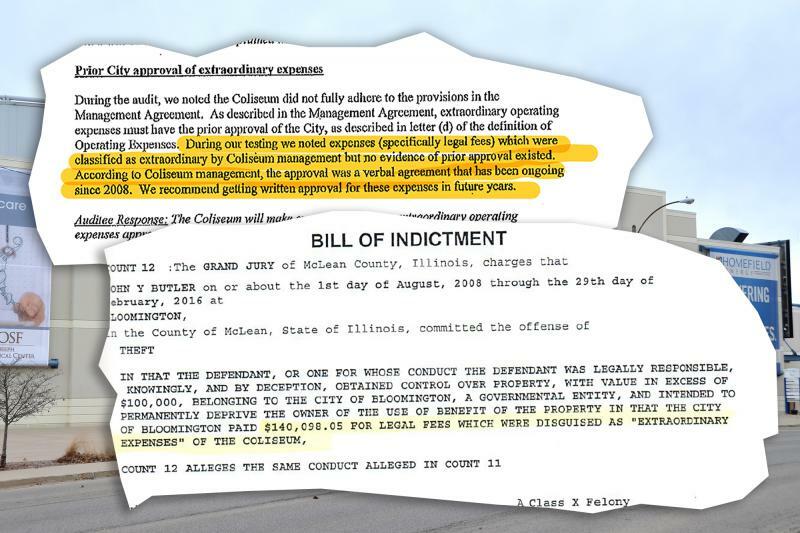 Newly released documents show auditors repeatedly warned City of Bloomington leaders that their contract with the U.S. Cellular Coliseum’s managers was riddled with ambiguity and needed to be reworked. Several of the issues that were flagged are now part of the criminal case against those same arena managers. 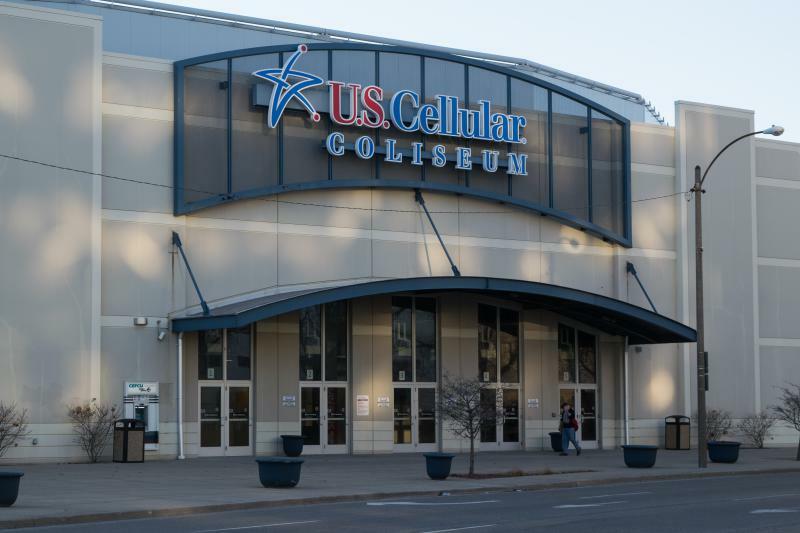 The five defendants in the U.S. Cellular Coliseum case pleaded not guilty Friday to more than 100 counts of fraud, theft, and money laundering.